Karyopharm Therapeutics believes it can build a platform of cancer drugs off of the idea of keeping the body’s tumor-suppressing proteins in the nucleus of cells, where they can do their jobs properly. With the help of a new $48.2 million round of funding, now it has enough cash to test that thesis in two large clinical trials. Natick, MA-based Karyopharm today hauled in a $48.2 million Series B round led by an unspecified private investor. Delphi Ventures also participated, as well as other backers that Karyopharm declined to identify. Delphi general partner Deepa Pakianathan has joined Karyopharm’s board of directors in conjunction with the financing. Karyopharm had already raised roughly $32 million in private cash prior to the new round. Chione Ltd., reportedly an investment vehicle for an unnamed, wealthy individual, led both a $20 million Series A in 2010 and a $10 million Series A2 in 2011. Karyopharm also received a $1 million grant from the Multiple Myeloma Research Foundation, a non-profit organization that helps advance the development of multiple myeloma treatments, and $1 million from its founders, according to chief scientific officer Sharon Shacham. Investors are interested because of Karyopharm’s approach to treating cancer. The idea is this: healthy people have tumor-suppressing proteins living in their cells that prevent them from becoming cancerous. In patients with tumors, however, a protein called CRM1 carries the body’s tumor fighters out of the nucleus, or the center, of cells. Karyopharm’s plan is to build a platform of drugs that bind to CRM1, keeping those proteins in the nucleus. The target protein is also known as Exportin-1, or XPO1, for short. Karyopharm is using that idea to develop a pipeline of drugs it hopes to use to treat cancers in both human patients and dogs, and autoimmune disorders such as multiple sclerosis. The company still has plenty to prove before it can take a big leap: Karyopharm’s KPT-330 is the furthest along in development, but it is only in early-stage trials. 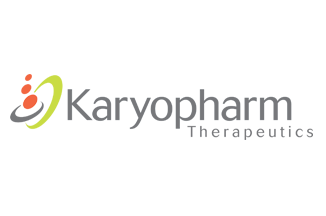 Karyopharm is conducting two such studies right now testing KPT-330 in patients with blood cancers. The early signs, however, are encouraging. Karyopharm released an abstract of one of its early-stage studies ahead of the American Society of Clinical Oncology’s annual meeting in Chicago, and the drug was reasonably well tolerated in a 23-patient clinical trial and did its job of keeping the tumor-suppressing proteins in the nucleus. That’s been enough for investors to put in the new round of cash to advance KPT-330. The financing gives Karyopharm enough leeway to put KPT-330 through “full clinical development” in two different forms of cancer, CEO Michael Kauffman said in a statement. Shacham declined to specify which cancer types Karyopharm is targeting. Karyopharm expects to have the drug in pivotal studies for “at least two different disease types by the first half of 2014, according to the statement. Karyopharm is also developing KPT-335, a version of the drug for dogs with lymphoma, and plans to submit that to the FDA’s Center for Veterinary Medicine by the end of 2014. “At this point our goal is to push the main compound into the clinical study and close up to a [new drug application] filing by ourselves in at least one indication,” Shacham says. Karyopharm intends to retain full ownership of the drug in the U.S. and Europe, although it is interested in finding a partner in Asia, she says.